At St. Peter’s School we use the Nelson Thorns font. When children start in reception, they are taught to form letters using this font, and as they progress through the school, they have a consistent method for forming their letters. 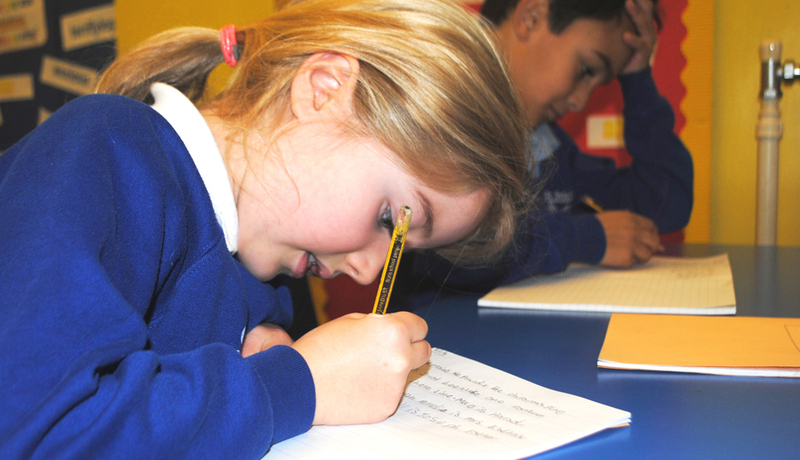 Children learn to write using a pencil, and as they develop a legible and fluent style, we encourage them to write using a fountain pen or a handwriting pen. Our children only use blue ink and we do not encourage use of biros. How can I support my child with handwriting? There are many schemes available to but that will help children to practice their handwriting, but the most effective method is regular practice. Please click the link below to find an example of the alphabet, guide lines that can be printed off to use and an example of how you can use these two documents with your child to practice their handwriting.